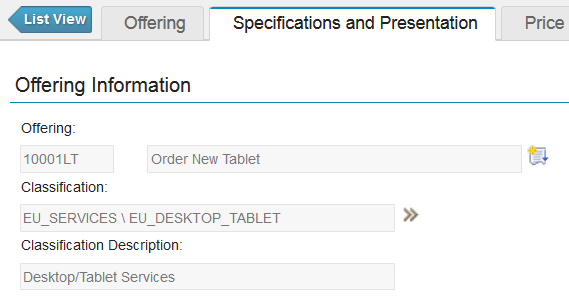 In the new IBM SmartCloud Control Desk (SCCD), there are very good Service Catalog and offerings applications that you can take advantage of and use in a production environment. 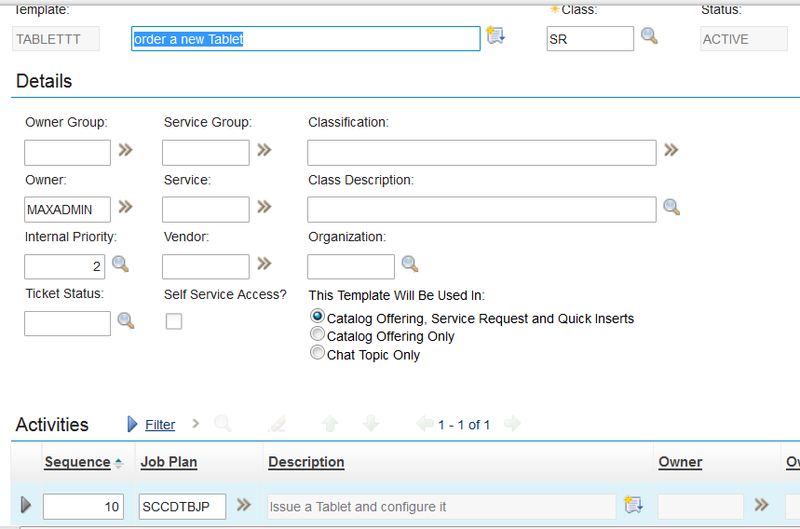 In this blog, Interloc's Pete Morell shows you how to create a Service Catalog offering and add it to a catalog. What we need to do is create all of our items needed for the offering first and then create the offering. First, we’ll create the classification. For this go to Administration>>Classifications and search on Laptop. Once it is selected, create a duplicate of it. We will need this later for our offering. Let’s create it now. Go to System Configuration>>Platform Configuration>>Domains. Fill in the data as shown and save the domain. Now that were done with the classification, let’s create the job plan. Open it, duplicate it, and change the name and description to the following and then save it and make it active. Now let’s go and create the Ticket template. Open it, duplicate it, and fill in the details as follows. Once it’s filled out, save it and make it active. At this point, we’re about half way thru now. Let’s press on! 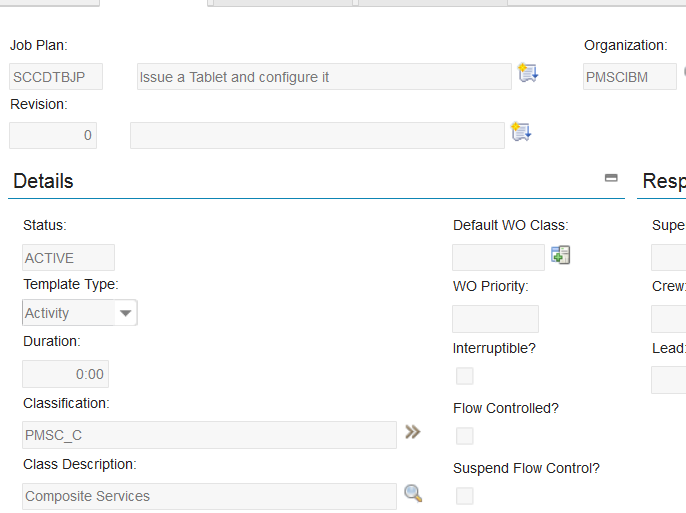 We need to create two communication templates for our work flow actions. Go to Administration>>Communication Templates. Search for SRRESRB and open it, duplicate it, and fill in the data as shown and make it active. Save it and make it active. Save the template and make it active. 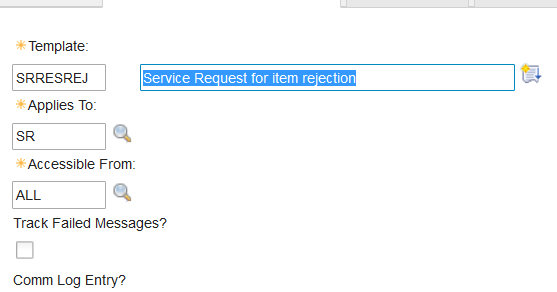 Now we need to tackle the workflow, which will route the request to the user's manager for approval. For the next action circled, open it and fill in the data as shown. Save the work flow, validate the process, enable the process, and activate the process. Now we can create our offering. 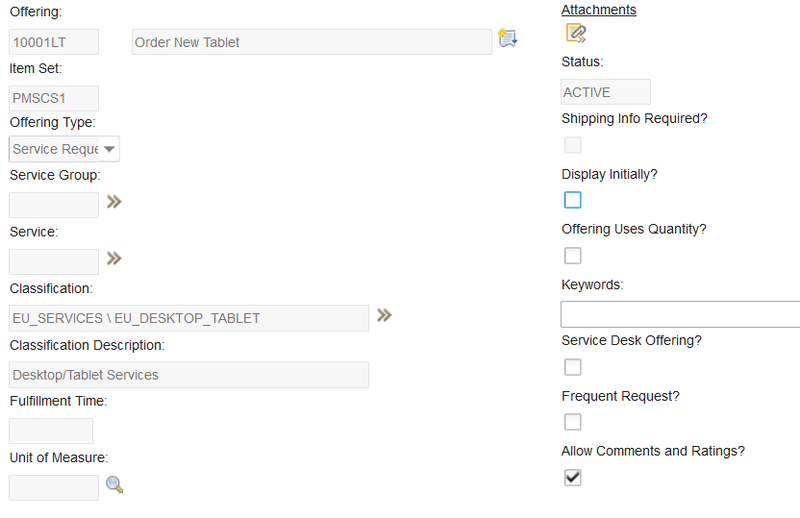 Make sure you select the workflow we created under the Line Manager approval and that “Preapproved” is checked for the fulfillment manager. Also, make sure that the ticket template we created is applied. We need to add a data attribute for out tablet but we don’t have one yet, so let's create one. Now we need to add the offering to a catalog. Add as appropriate for your application. Save the offering and make it active. At this point, you may want to add a graphic for the picture that will show up in the catalog. Let’s see now how this looks in the catalog. Select our offering and there it is! You can go back in and put a price for each model and any other data that you might want. That wasn't too bad was it? Need answers to your SCCD questions? Contact Interloc today!